The Division of Allergy & Immunology serves as a tertiary referral centre for children from around the province. Its goal is to provide the highest level of clinical care, and excellence in teaching and research. Faculty research interests span a wide variety of topics in allergy and immunology. 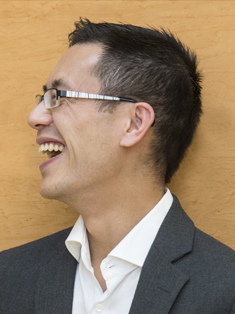 Dr. Chan is a clinical investigator at the BCCH Research Institute and his research interests are in food allergy and eosinophilic esophagitis (EoE). Multi-centre national and international research studies include an oral cow’s milk immunotherapy clinical trial, several epicutaneous peanut immunotherapy clinical trials, national food allergy registries (peanut, seafood, etc), a national anaphylaxis registry, CHILD study birth cohort peanut allergy outcomes, national oral food challenge barriers & solutions, Health Canada study of emerging food allergens, and national/international early peanut introduction implementation studies. Local (including provincial) projects that have national extensions include our food allergy E-Health tool, food allergy-related anxiety, confidence with using epinephrine autoinjectors, our EoE registry, predictors of food allergy severity, and EoE Biomarkers. QI (Quality improvement) projects together with Child Health BC include educating about early peanut introduction together with public health nurses, and pre-school peanut oral immunotherapy implementation. He has been an author on multiple clinical practice guidelines including CPS and NIAID/National Institutes of Health) food allergy prevention guidelines. Dr. Wong's primary research is within the realm of clinical drug allergy. She is a leader and co-investigator in a penicillin allergy de-labeling initiative at the BC Children's Hospital, in conjunction with the Antibiotic Stewardship Program. Specific projects within this initiative include developing assessment tools and clinical algorithms that will assist healthcare professional in identifying patients at very low risk of penicillin allergy. She is currently developing a multidisciplinary Complex Drug Allergy Service for individuals with labels of multiple drug allergies and medically complex needs, and is looking forward to conducting quality improvement studies as part of this new service. Dr. Hildebrand has had specialized training in medical education, and therefore has an interest in bridging the gap between medical education and research as it pertains to Clinical Immunology and Allergy. Projects will focus on assessing outcomes before and after curriculum development, including shared teaching initiatives nationally. Dr. Hildebrand will be comparing various forms of asthma education on asthma outcomes. In addition, Dr. Hildebrand is working towards developing a national database for the management of DiGeorge syndrome. Dr. Junker is the Director of the Canadian national Maternal Infant Child Youth Research Network (MICYRN), which connects the 17 child/maternal-child research organizations across Canada. Dr. Junker’s research has focused on establishing mother-infant cohorts for longitudinal studies of host immune-pathogen consequences of early infant infections with herpes group viruses. As the Director for Clinical and Population Research with the Child & Family Research Institute, Dr. Junker manages infrastructure including the Clinical Research Support Unit whose staff provide education, methodological, biostatistics and data management advice and services. She is an executive member of the BC BioLibrary, a provincial framework to maximize the ethical accrual of high-quality annotated biospecimens into biobanks. Dr. Turvey is the Director of Clinical research at the BC Children's Hospital Research Institute (BCHRI), Senior Clinician Scientist at BCHRI, and the Aubrey J. Tingle Professor of Pediatric Immunology. Key areas of interest include the genetics of susceptibility to childhood infection, the role of toll-like receptors in human disease, and innate immunity and lung inflammation in cystic fibrosis. Dr. Turvey is also co-principal investigator for the Canadian Healthy Infant Longitudinal Development (CHILD) Study and leader for the Vancouver site. Our fellowship training program is the only Canadian Royal College of Physicians and Surgeons of Canada accredited training program in Pediatric Clinical Immunology and Allergy west of Manitoba. We continue to participate in medical student pediatric rotations, half-days, and other sessions. All first year Pediatric residents continue to do the combined Allergy/CF/Respiratory rotation. Pediatric residents in other years of training and pediatric residents from out of province spend elective time with us, as do dermatology and medicine residents. Faculty members present at national, UBC affiliated, and community CME events. The Allergy Clinic provides a consultation service to community physicians throughout the Province resulting in a wide variety of allergic disorders being seen: food allergy, asthma, atopic dermatitis, allergic rhinitis, eosinophilic esophagitis, and allergy to drugs, venom and vaccines. There are over 1800 patient visits per year and the ambulatory program is designed to provide a “one stop” service for diagnosis and management by including diagnostic, treatment and teaching facilities within the clinical unit. The Challenge Testing Program for foods and drugs continues as a unique and important outpatient program of the Division. The Division is sharing leadership roles in multidisciplinary, dedicated Asthma and Eosinophilic Esophagitis clinics based at BC Children’s Hospital. The Immunology Clinic provides consultation services for immune deficiency disorders, and tends to work with community health care providers for screening immunology studies to be done locally, so that most of the cases evaluated at BC Children’s have signs of an immune disorder and need more in-depth testing. There is also an active inpatient consultation service for immune deficiency.